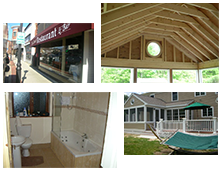 Liam Neary Construction offers quality craftsmanship ensuring each project is completed to your full satisfaction. We use Angie’s List to assess whether we’re doing a good job keeping valued customers like you happy. Click the button below to grade our quality of work and customer service. Member Comments: We never had to use a contractor till now. Thats why we used Angies to find one. All the contractors we asked quotes were from Angies. We had confidence on the quality based on reviews. We wanted the right price. Bill Neary’s quote came on par and earliest when compared to the other quotes. We went with him for our work and never regretted it. He was very punctual, on time everyday and sent an email update at the end of each day. He always kept us up to date on whats going on and finished his work on schedule. $40,000.00 The company totally refinished my basement with new electrical, plumbing, stairs, doors, paint, support structures, and new cement floors. Member Comments: The company was perfect to deal with, managed everything start to finish, and managed contact with tenants. I can’t say enough about them. He maintains a set of my keys in case of emergencies. I’ve used this company for small jobs of 1,000 to larger jobs like this. Added finishing work for stairs and deck off the back of the house. They added a skirting, risers, new treads with proper length, and trim-work around the stairs and deck. They also fixed the siding on a section of the house. Member Comments: They did a fantastic job – everything turned out well beyond what we had envisioned. In particular, the skirting looks beautiful and the siding they replaced is perfect. We were out of town when the work started, but they were great in that they gave many updates per day that included pictures, etc. They were always on time and easy to contact. The work site was cleaned up afterwards each day. Highly recommended. Bill is professional in all aspects, quick to respond to phone calls and and has a great sense of humor so a complete pleasure to work with! Member Comments: I found Liam Neary Construction on Angies list when I moved into my antique home this September. I was having my floors refinished and wanted a doorway widened first. As my floor guy was due to arrive in two days, I didn’t have much time. Bill Neary got right back to me. He happened to be working on a house in my town that week and said he would be happy to help me out quickly. He did a beautiful job! It was completed immediately as promised and his price was quite fair. I hired Bill to replace my front door the next week and will be hiring him to do more work as I continue to renovate my home. Member Comments: Bill was fantastic, he built us out custom shelving and cabinet space for our bedroom and living room. He worked with us on specifications and gave some great guidance on design. He was great to work with, on time, and super efficient. We love the work he did and get compliments all the time on our built-ins. We’ve used him on two separate occasions and he is our first call for any carpentry or additional building work we may have in the future. 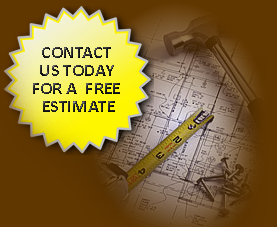 We specialize in all residential and commercial renovation. Click here to view our portfolio. "Liam Neary Construction turned my old outdated kitchen into a bright, beautiful & updated one in less than two weeks..."
Copyright © 2019. All rights reserved. Privacy/Terms.